On final approach in poor visibility due to fog and snow falls, while flying at 200 feet, pilots missed the runway 01 and applied full power on both engines to go around. 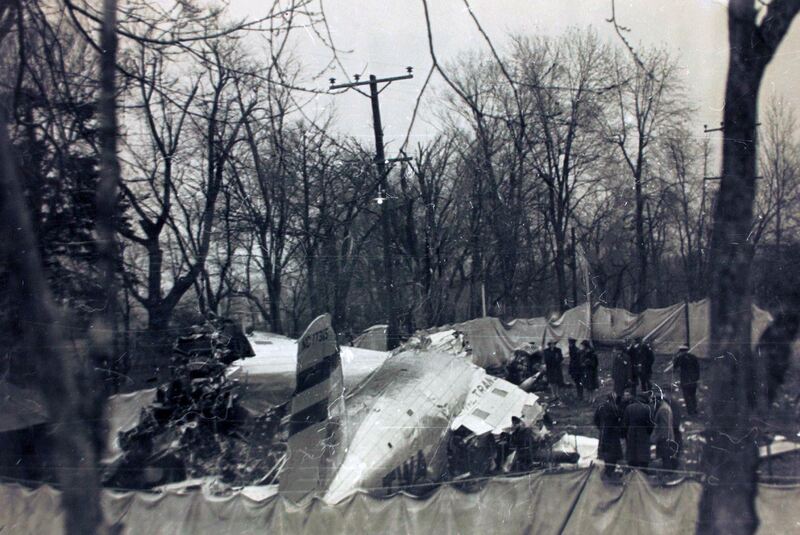 After overflying the runway 01 for several yards, the captain made a turn at low height for a landing on runway 04 when the aircraft hit tree tops and crashed. 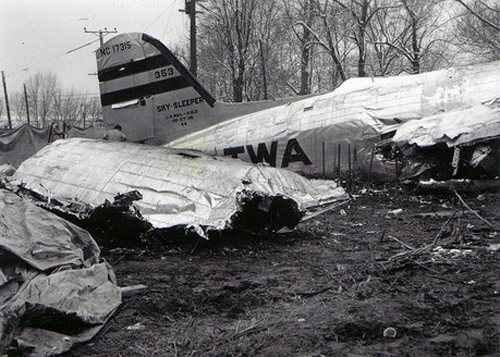 As twelve occupants were injured, one crew member and one passenger were killed. 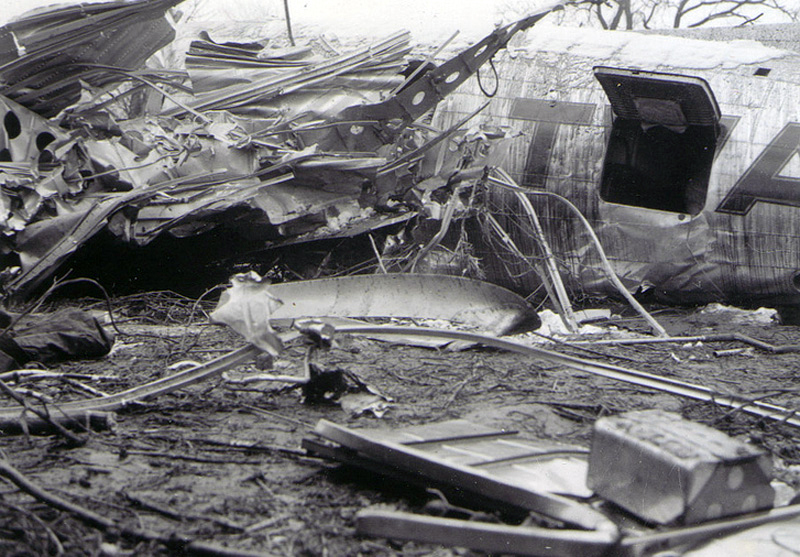 Upon the basis of the foregoing findings and the entire record available to the investigators at this time, they find that the probable cause of the accident was the action of the pilot in attempting a landing under adverse weather conditions in disregard of the minimums prescribed by the Civil Aeronautics Administration and in maneuvering for such landing at a dangerously low altitude.